Sewn with unique, durable, knitted, ventilated elastic fabric material with foam-based and soft cotton inner lining. Three flexible contoured inserts provide stabilization and lightweight support. Unique design provides an ultimate tapered padding of special high-density material in spinal cord region. 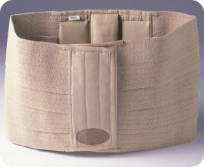 Designed as 22 Cms wide (8.5" Inches) and provide extra compression with multi elastics to evenly distribute compression across lumbar region & to provide stabilizing support to the abdominal muscles. Easy, comfortable & inconspicuous in wear. Fixes with Hook & Loop fasteners. 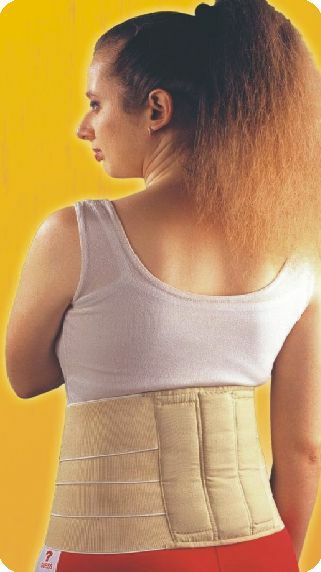 Lumbar Sacro Belt - Alleviates lower back pain by stabilizing lumbar, sacral and pelvic region. Gives relief from lumbar sacro spondylosis / degenerated disc disease. Provides maximum support to mid and lower back without restricting normal movement. 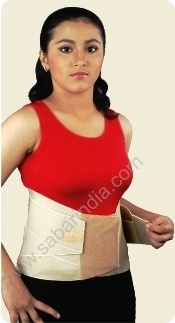 Helps to correct Muscular-Skeletal deformities in lumbar region due to wrong posture etc. Relieves pain in lumbar region in post operative / post delivery condition. 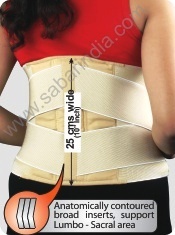 Designed 22 Cms Wide (8.5" Inches) and with double-strap system provide extra compression with multi elastics to evenly distribute compression across lumbar region & to provide stabilizing support to the abdominal muscles. 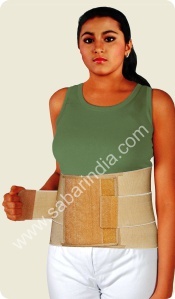 Designed as 22 Cms Wide (8.5" Inches) with double-strap system provide extra compression with multi elastics to evenly distribute compression across lumbar region & to provide stabilizing support to the abdominal muscles. Having wider adjustments in size and Fixes with Hook & Loop fasteners. 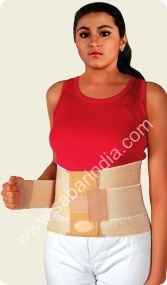 Designed as 25 Cms Wide (10" Inches) and having double-strap system provide extra compression with multi elastics to evenly distribute compression across lumbar region & to provide stabilizing support to the abdominal muscles.